Yes! Click away on the Amazon link all those of you like to read on Kindles – 😀 There’s everything you could want on there now, although we are still waiting on the Foreword, which is why there’s no paperback edition just yet! We couldn’t wait to get the book out to you, is the reason we’re going out ever so slightly incomplete in eBook format. Of course, that’s the beauty of the form, because it can be updated in the drop of the proverbial hat. I can’t quite understand what you mean by freebooting, Jan. I looked it up, and it said something like infringement of copy right. Is your Almanac one that infringes on copy rights? 😦 Is it okay to get a copy while it is not completed? Relating to the second point – at present we’re only missing a Foreword which is still being written. Because that’s not integral to the book, you’re not missing anything vital to the plotline thread, except a couple of pages of short commentary from the writer of my character’s husband. IT’S STARTED! 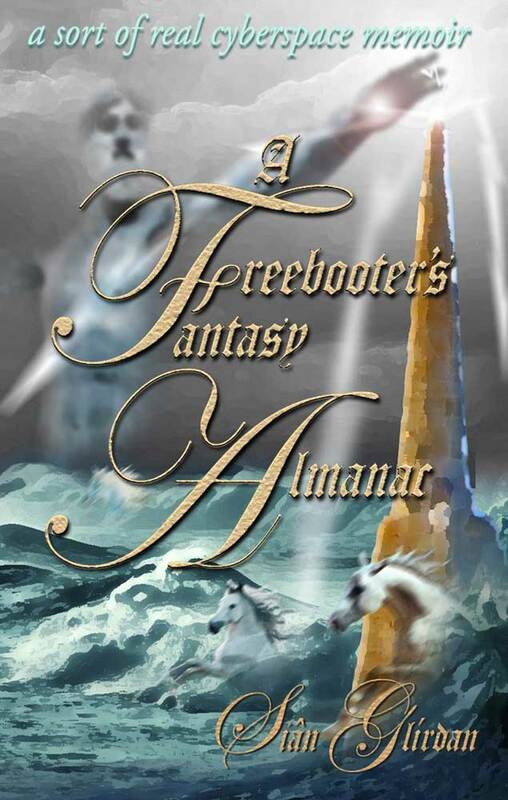 Today’s the official launch of A Freebooter’s Fantasy Almanac!! !